There really is nothing like a handcrafted super-premium knife. Shinichi Watanabe built my Yanagiba a few years ago, and makes all the difference in the world when slicing sashimi. It remains my most prized knife. I have several Japanese professional chef knives and have found chefknifestogo.Com the best resource for information as well as purchasing. I truly needed to purchase a blade amid our Japan occasion, and we went into a few blade shops, including a few renowned and since a long time ago settled ones. In any case I was simply excessively scared by not having any sign what I needed, and left without purchasing anything. In fact, I never even arrived at the venture of conversing with the staff. I want to recommend this information what is really helpful for the home knife user. 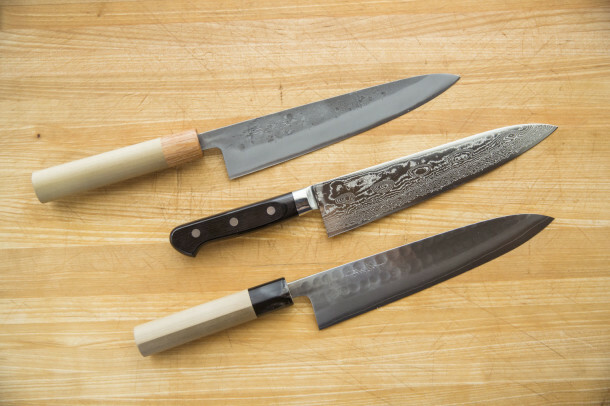 Hey, how do you store your knives to keep them sharp and free of dents and scratches? For now I am using a magnetic wall mount and have been thinking about upgrading that to a magnetic wooden wall mount. It would be a bummer to scratch those pricy knives. 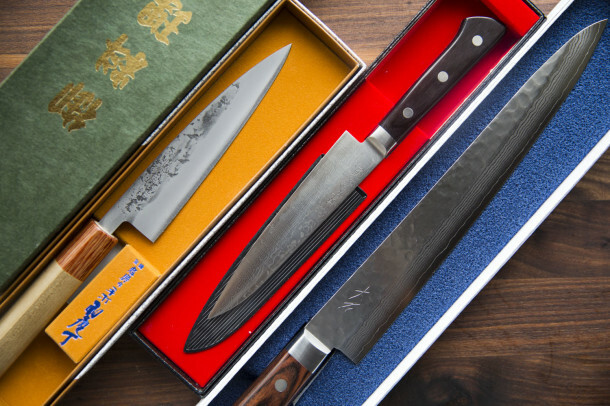 We store our knives in a drawer, either covered/sheathed or in the original lined boxes they came in. Since I’ve bought a santoku knife, I rarely ever use the western chef’s knife. 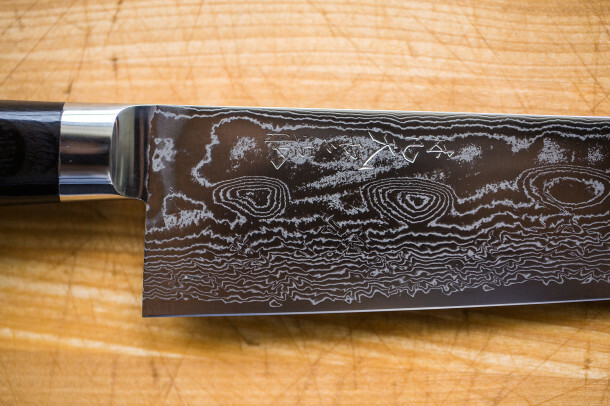 By the way the knife with the layered steel looks wonderful!